Hello! Hope you are well!. As promised, here’s presenting my feature on Jo Travers. Jo has very kindly answered our queries related to diet, nutrition and career. Jo Travers, The London Nutritionist and author of The Low-Fad Diet, is a state Registered Dietitian with a First Class BSc (Hons) in Human Nutrition & Dietetics. She has been in private practice for five years, and in her media role has consulted for the BBC; Channel 4; and comments regularly in print and on radio (more often than not as the voice of reason when the latest outlandish food story hits the news). She is also a spokesperson for the British Dietetic Association. My name is Jo Travers and I’m a registered Dietitian and Nutritionist. I’ve been freelancing for five years now which is great because I can fit my work in around my children and I get to work on some really interesting projects. I have two children (Vincent 3 and Lola 6) and live in south east London. 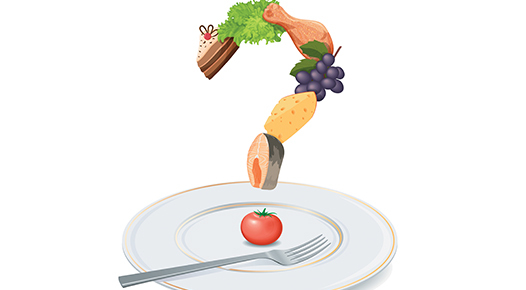 Some of the readers want to know about your career as a dietician and nutrition. How to go about it? Which college or university to go to? Degree or a diploma to pursue. Basically they want to know the route to become a nutritionist/dietician, particularly if they are living in the UK. 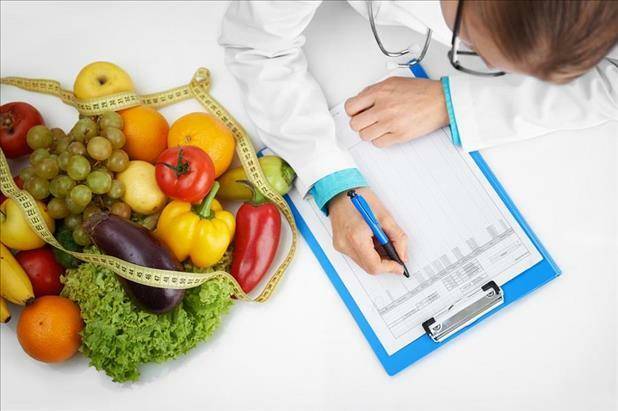 The name dietitian is a protected title so you can only call yourself a dietitian if you have done a four-year degree and if you are registered with the Health and Care Professions Council who provide a code of practice for us to work by. This is not the case for nutritionists, which at the moment, anyone can call themselves, regardless of whether they have any training. I used to work in retail but decided to retrain when I was 27 by doing an access course in Applied Science and then my degree was at London Metropolitan. It’s a quite a full-on degree with an awful lot of maths, biochemistry, physiology and medicine, not to mention the placements working in the NHS! However, I did manage to get through it, with a year out in the middle to have my daughter, and I love it. I find how the body works fascinating , and the relationship between food and health. I also love food so it’s a great job for me! Here are the questions from the readers. I have club them together as they were on similar lines. So please read the other answers related to weight, diet and nutrition. Q1 Please share some tips on increasing protein intake for vegetarians. Suranjita: You can also try some of the recipes that my friend Jovita has kindly shared. These recipes are high on protein. Here are the links. Thanks Jovita! Q2 30 months old toddler is still on pureed food and he vomits and chokes on normal food. Please can you advice on how to introduce solids? Jo: Eating takes a lot of practice! It’s a complex process getting a lump of food chewed up and from the front of the mouth to the back and down the throat. There is however a difference between choking and gagging. Choking is when the airway gets completely blocked and the child cannot breathe or make a sound. It can be fatal but can usually be addressed by laying the child face-down across your knee and giving a sharp tap on the back. A child can only choke if something is the same size as their throat. So small or large things don’t really present a problem. A pea though is just about the right size. Gagging on the other hand is a normal part of learning to eat and shouldn’t cause any long term problems. It can be a bit nerve wracking to watch and can mean that parents are scared to give foods that make a child gag, but without the practice it’s difficult to learn. If you need any support, you could see your GP or get in touch with a dietitian. Q3 This kid is a fussy eater. For example, other than flavoured yoghurt, doesn’t eat anything else. He eats plain rice or plain boiled pasta with no gravy or flavours. His portion is very small as well. Please suggest any ideas to get variety in the diet and increase his appetite. One more query on fussy eater. Her 11 month old is below 2% line. Any advice on weight gain? Jo: I wrote an article on fussy eating which can be seen here https://www.thelondonnutritionist.co.uk/wp-content/uploads/2012/08/Fussy-Eaters.pdf. Weight gain is slightly different though and I’d recommend getting professional support if weight doesn’t start to go up. However, tricks like reducing milk feeds and increasing energy dense solids are good. Also giving drinks separate from meals; reducing grazing throughout the day as kids can fill up on less nutritious snacks and not be hungry at mealtimes. Q4 This is about a 19 month old. She is allergic to milk, egg yolk and white, wheat, rice, soya, kiwi, nut. At the moment she is on Cow and gate baby food and breastmilk. She had her blood test and doctors told her that she has low iron and her legs are curved. They have given her vitamin syrup. Please can you suggest some healthy recipes for her growth and development. Potatoes are going to be a really good source of carbohydrate energy, as most grains are out. For protein, meat and fish are good – especially oily fish which has loads of good fats too. Try not to fill up on too much fruit and veg which doesn’t have a lot of energy and almost no protein. Vegetarian sources of protein (excluding soy and eggs) are things like beans, lentils and chickpeas. Also full fat yogurt is good. Q 5 One more mum needs some advice on increasing appetite for her 7 year old child as her weight is low compared to other kids. Jo: Try not to worry too much about comparing to other kids as everyone is different. What is important is that they are tracking their own growth centile. Appetite also goes through stages depending on their development. They may be ravenous one week and eat nothing the next. This is normal. However if they stop gaining weight or drop a centile then it’s important to do some catching up. Start with whatever the child likes to eat and making mealtimes fun. Jo: A portion of fruit or veg is how much they can fit in their hand. To get the balance right at meals, fill a third of the plate with fruit or veg, a quarter with carbohydrate for energy and a quarter with protein. An example day might look like this: Porridge made with milk with a handful of banana for breakfast, a handful of carrot sticks and houmous for a snack; scrambled eggs on toast with a handful of tomatoes for lunch; handful of chopped apple and yogurt for for a snack; fish fingers, mash and a handful of peas for dinner. Q7 How to include calcium in the diet when a kid doesn’t like milk or curd. Are processed cheese slices ok to give? Jo: Yes, cheese is made from milk so is a great source of calcium as is yogurt. You could also try disguising milk in sauces and soups, and puddings like rice pudding and custard. Beans, chickpeas and lentils are good sources; dark green leafy veg, and the soft bones in tinned fish like mackerel and sardines. Q8 And finally any weight management plan for adults? Food that doesn’t cause weight gain? Jo: The best rule I can give you is to similar to the one above for kids. At mealtimes, fill half your plate with veg, a quarter of your plate with carbs and a quarter with protein. This will make sure you get the balance right. Over the day you need about 5 cupped hands of veg or fruit, 4-5 fist-sized portions carbs, and 2 palm-sized portions of protein. Thank you very much Jo for taking the time out to answer the queries. I really appreciate it. Here’s wishing you a wonderful career and life! Please accept a big thank you from the readers as well. Thank you both of you! It was really helpful. Hi Aparna!! I am so glad that you found it helpful. Thank you Smita! I am happy that you found it useful! Thanks to Jo that your query could be answered!